Omega Dance Company is a professional sacred dance company in residence at the Church of the Village in Manhattan. 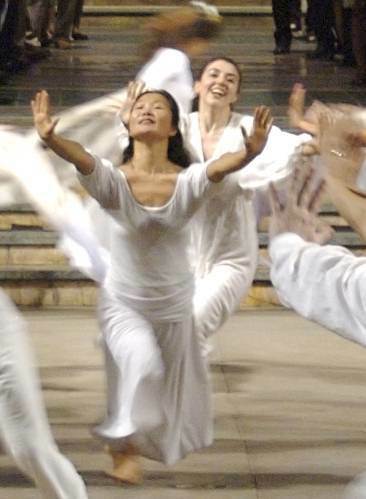 Comprised of professional dancers and educators of diverse backgrounds, Omega ministers to communities of varying faiths throughout the New York City metropolitan area by offering dance in worship settings, presenting concerts with spiritual themes, and giving workshops that explore how movement can reveal the sacred. Omega dancers are professional dancers, and come from a variety of dance backgrounds and faiths. From musical theater, contemporary, and ballet training, to certifications in holistic healing and acupuncture, each dancer brings his or her own gifts to Omega's mission of revealing the sacred through movement. Omega is a proud member of the NY/SW CT chapter of the Sacred Dance Guild.